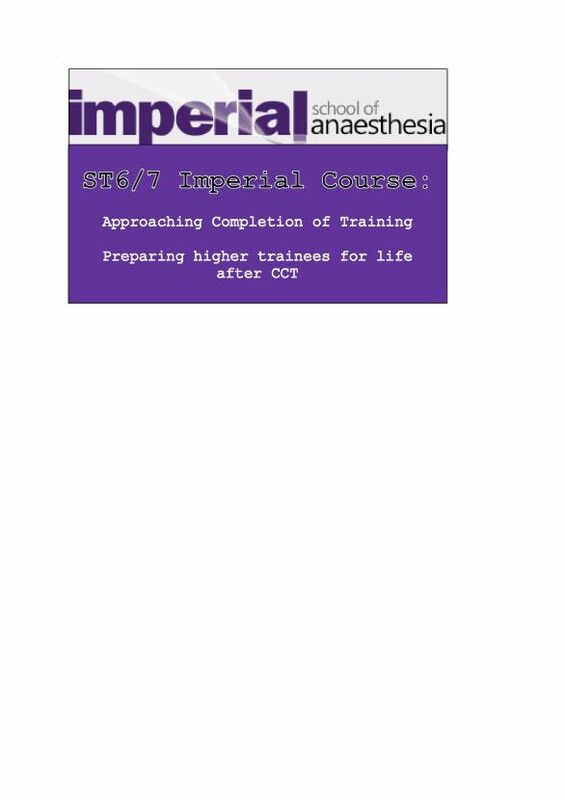 This is the first in what is aimed to be a 6 monthly 1 day course for higher/advanced trainees in Imperial School of Anaesthesia aiming to prepare them for life after CCT. The following is the current draft of events of the day, subject to further change prior to the day. 16:00-17:50 CV clinic: Limited spaces allocated on a first come, first served basis. Candidates will need to submit their CV by Monday 25th January to claire ! ruck | chelwest ! nhs ! uk. If they have not submitted a CV by this date, their place will be allocated to another candidate.